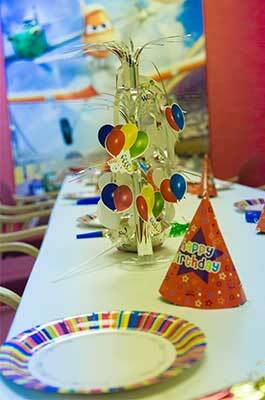 SCLC is the perfect location for your party, they are great fun for Adults and Children alike! 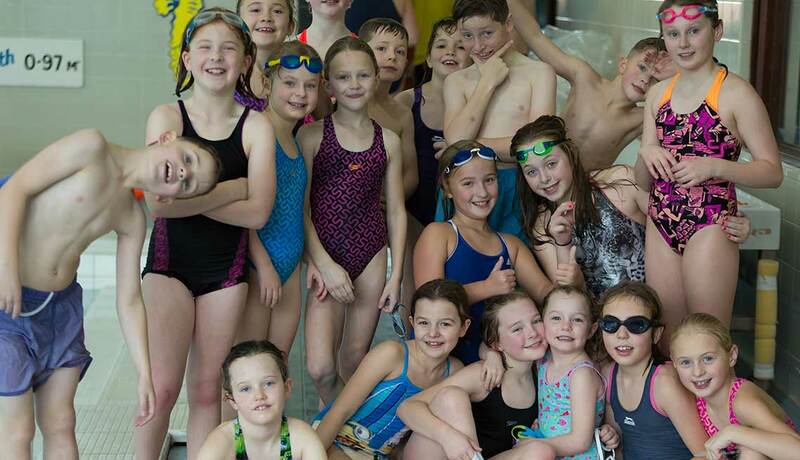 Let us take the stress out of organising your child’s party – we offer the full package so all you need to do is turn up ready to enjoy time with us. 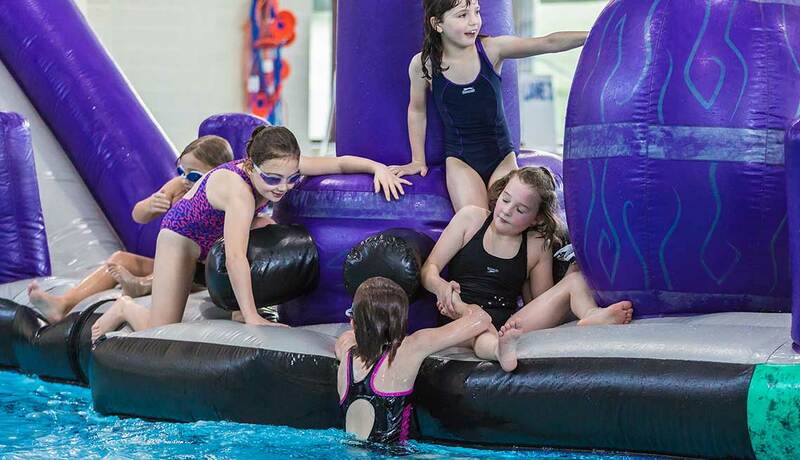 If you’re looking for that extra special occasion, why not enquire about our private hire for exclusive use of the big pool and our ‘”Double Trouble” inflatable. With a dedicated Party Host, we’ll ensure that you and your guests have a brilliant time – you won’t forget your special day! Adults required by our policy to supervise the party are free of charge. We can provide party food or you can choose to cater for yourselves. All our birthdays come with a birthday card and a ‘special’ present, compliments of the Centre. Our Party organiser will be present throughout to ensure you have a great time! 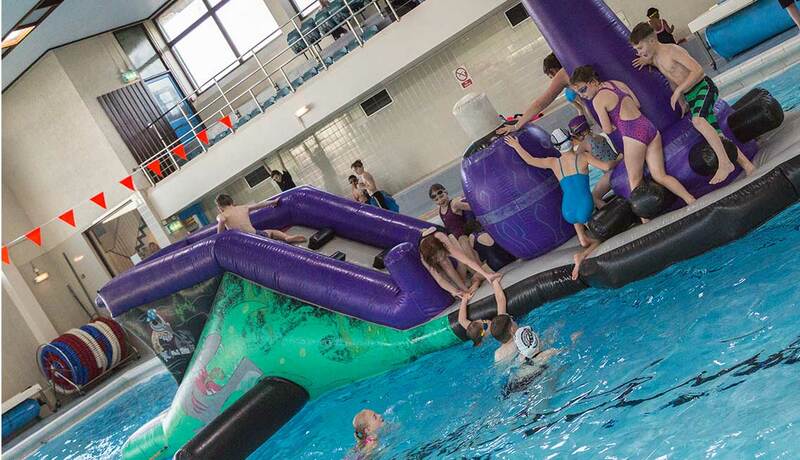 Large ‘Double Trouble’ inflatable (ONLY AVAILABLE IN THE MAIN POOL) £50 (max 30 children) for 1 hour. Children who cannot swim are required to exit the pool at the middle steps. Maximum weight per person is 70kg/11 stone. The TOTAL number of children attending the party, including your own child. Full Sports or Bowls hall – including 1 party leader for up to 12 children: £75 for 1 hour for Football Party and Games Party. 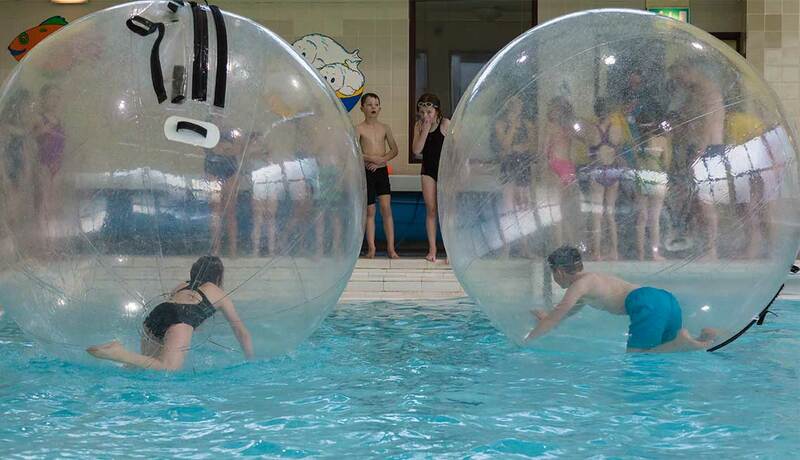 Half Sports or Bowls hall – including 1 party leader for up to 12 children: £50 for 1 hour.